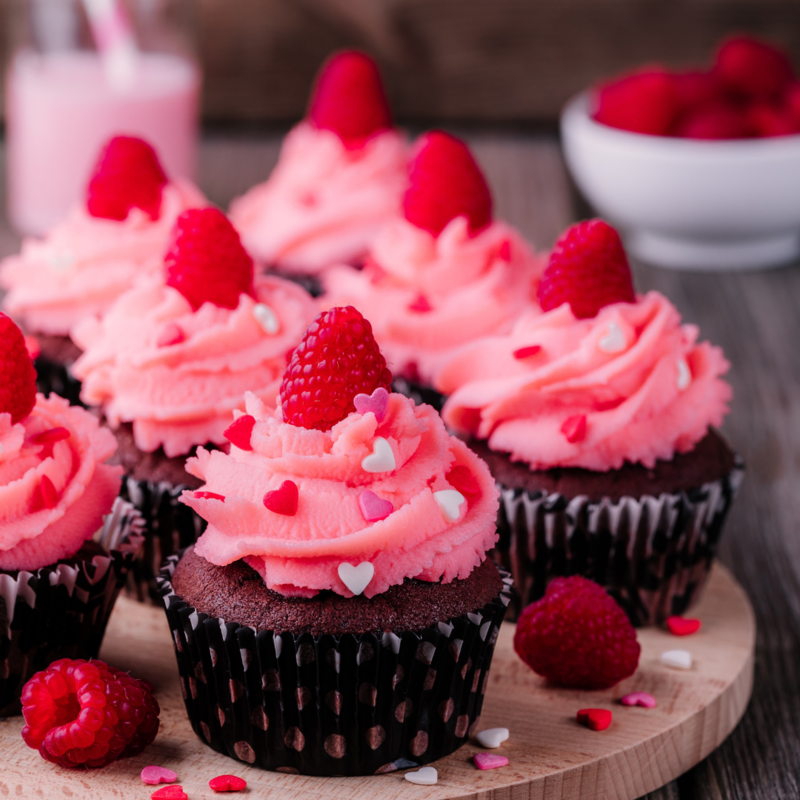 The ultimate declaration of love is the willingness to share your cupcake! Show your Valentine how much you love them! To make the cupcakes:(use first 10 ingredients) Preheat oven to 350 degrees F (175 degrees C). Line a muffin pan with paper or foil liners. Sift together the flour, baking powder, baking soda, cocoa and salt. Set aside. In a large bowl, cream together the butter and sugar until light and fluffy. Add the eggs one at a time, beating well with each addition, then stir in the vanilla. Add the flour mixture alternately with the milk; beat well. Fill the muffin cups 3/4 full. Bake for 15 to 17 minutes in the preheated oven, or until a toothpick inserted into the cake comes out clean. Frost with your favourite frosting when cool. To make the icing: In a standing mixer fitted with a whisk, mix together sugar and butter. Mix on low speed until well blended and then increase speed to medium and beat for another 3 minutes. Add vanilla and a bit of pink colouring and cream and continue to beat on medium speed for 1 minute more, adding more cream if needed for spreading consistency.